Rep. Jason Chaffetz (R., Utah) will leave his position in Congress on June 30, according to multiple sources who spoke with Politico. He is expected to make the announcement on Thursday. 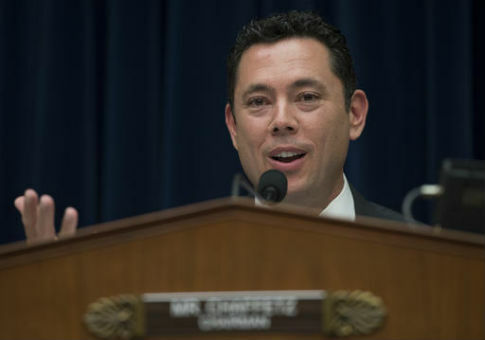 As the House Oversight Chair, Chaffetz has been at the center of high-profile investigations such as the one into Russian interference in the 2016 election and the Hillary Clinton email probe. He has stated that his decision to leave Congress does not involve any personal scandal, saying such a problem would have been made public by now. This entry was posted in Politics and tagged House Oversight and Government Reform Committee, Jason Chaffetz. Bookmark the permalink.